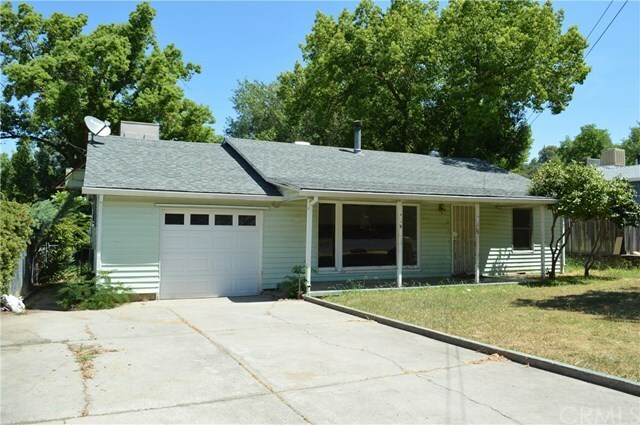 Located in an established residential neighborhood, this 3 bedroom, 2 bath home is not far from town or Lake Oroville for boating and fishing. Lots of potential with charming arches, a covered front porch area and a nice covered patio in the back. The backyard is fenced with a lawn area and a small shed. The living room has a large corner brick hearth and the three bedrooms are all good sized. Directions: Oro Dam Blvd. East, right on Highlands Blvd., left on Midway.